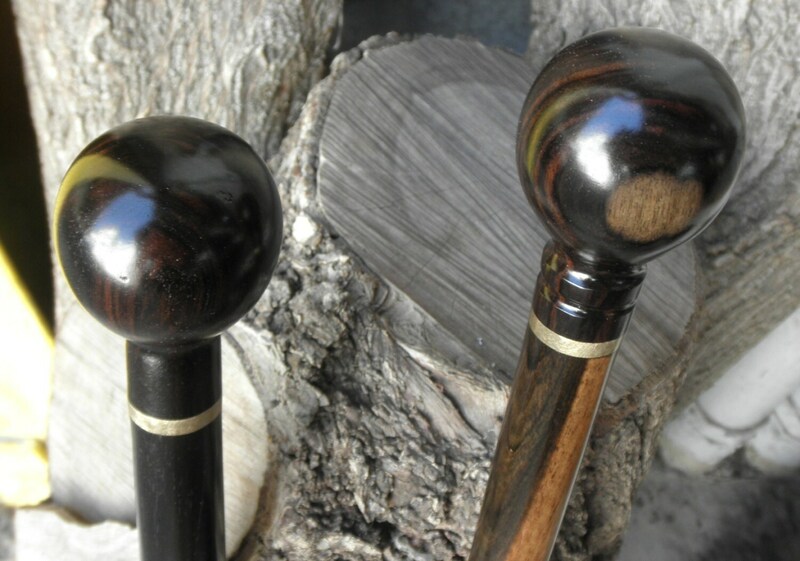 The Ebony Fritz Style Cane Handle is Five (5) Inches long and 2 1/2" high and about 1" in diameter and a little over 1" in diameter where the Ebony handle will meet your cane shaft. 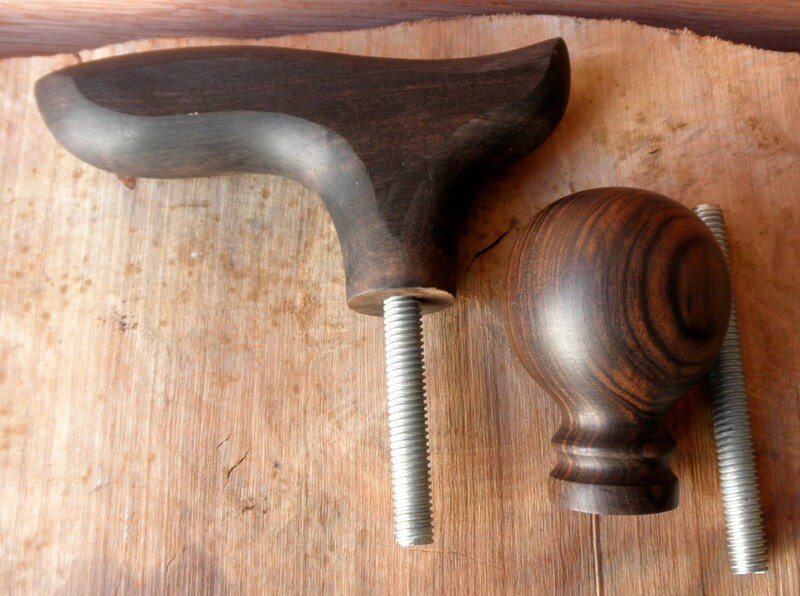 The Ebony Ball Cane Handle is 2 3/4" high and about 2" in diameter and a little over 1" in diameter where the Ebony handle will meet your cane shaft. . 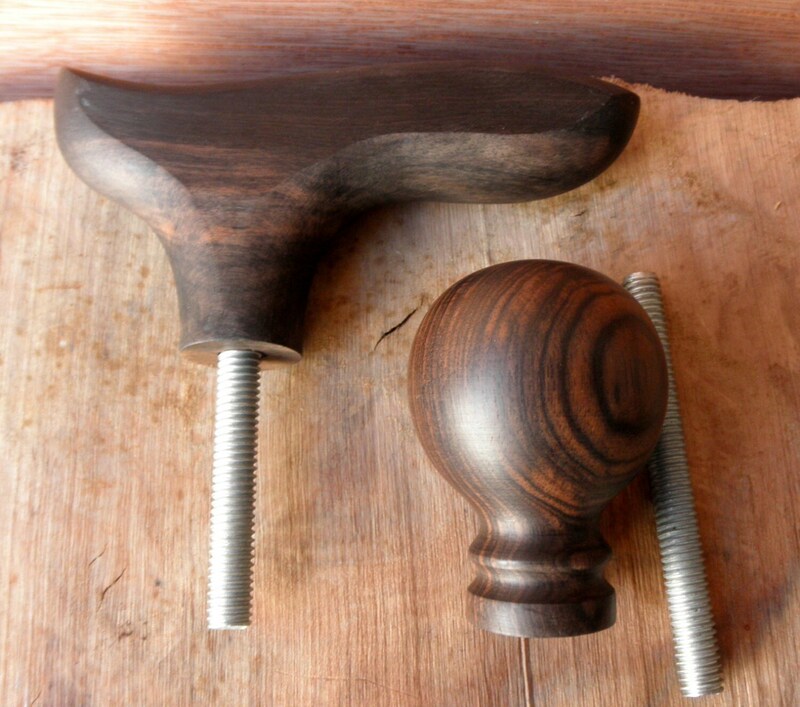 The handles are tapped to fit a 3/8" x 16 threaded rod (which is also provided) which can be seen in the pictures. 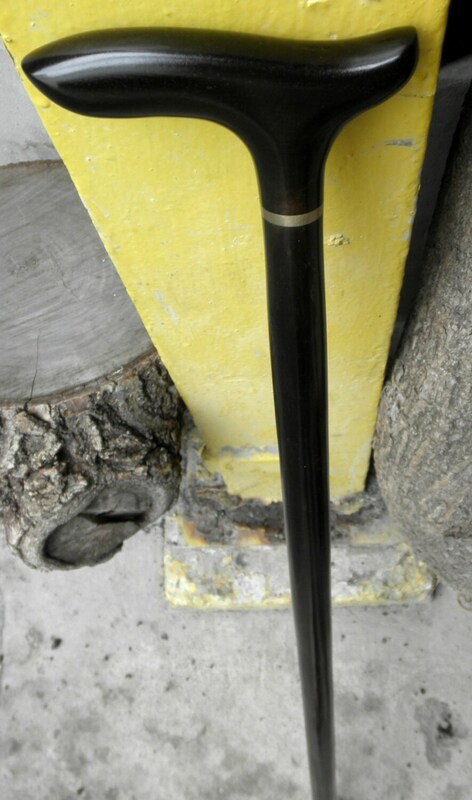 The buyer must provide a strong shaft about 1" in diameter and be able to drill a 5/16" hole down the center of the top portion of the shaft. This 5/16" hole is then tapped with a 3/8" x 16 tap to a depth deeper then the threaded rod. 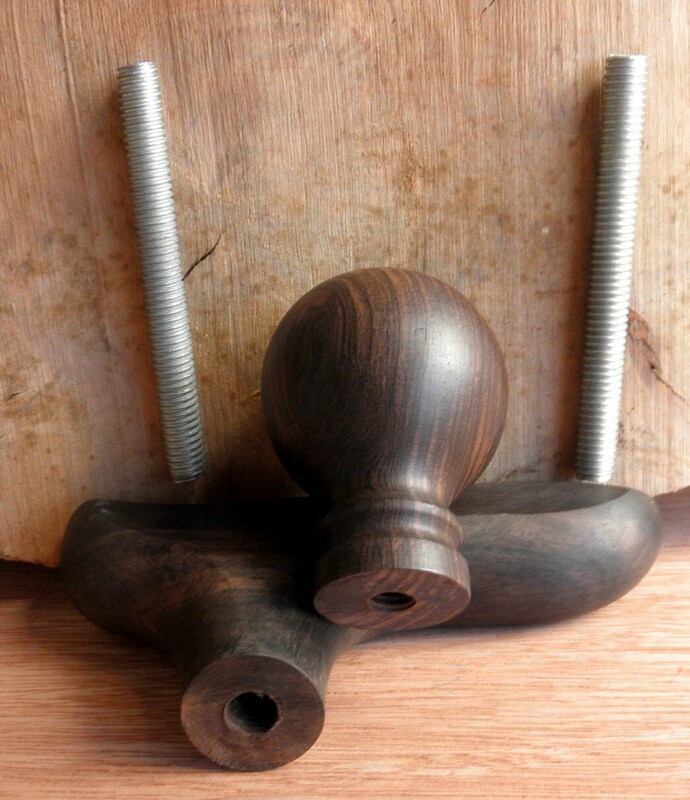 One Ebony Fritz Style T Handle & One Ebony Ball Style Handle and Two 3 1/2" threaded rods are included in this sale !